Welcome to Santiago de Compostela. 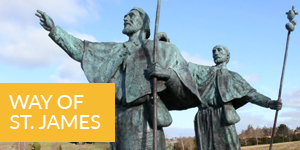 This virtual gateway takes you to the capital of the Autonomous Community of Galicia; declared a World Heritage City by UNESCO thanks to its monumental beauty, extraordinary conservation and as the final destination of a thousand-year-old pilgrim route: the Way of St. James, which, since the 9th century, has transformed this finis terrae into a meeting place of Western faith and thinking. Santiago de Compostela is a stone apparition in the midst of the green forests of Northwest Spain and the nearby Galician “rias”. It was originally a stopping point on a Roman road, but the discovery of the Apostle James’ tomb at the beginning of the 9th century gave rise to a place of workshop in the corner of the Iberian Peninsula, which was then dominated by the Moors. From then on all of Europe started walking towards Santiago, a holy city of Christendom where the grace of plenary absolution awaited them. A Romanesque cathedral then arose there, with the following centuries adding the sobriety of the Renaissance style and the majesty of a Baroque style that eventually characterised the city’s monumental image, made from the granite of its monasteries, its pilgrim hospitals, its numerous churches, its stately houses and its squares, where time stands still. Tradition is still alive and the continent’s spirituality still looks towards Compostela, as shown by the last Holy Years, which will undoubtedly be the case in the Jubilee year of 2021. The city’s visitors will find its treasures exhibited in sixteen museums as well as the surprising richness of its contemporary architecture, designed by Eisenman, Hedjuk or Siza, surrounded by Galicia’s largest area of parks and gardens. 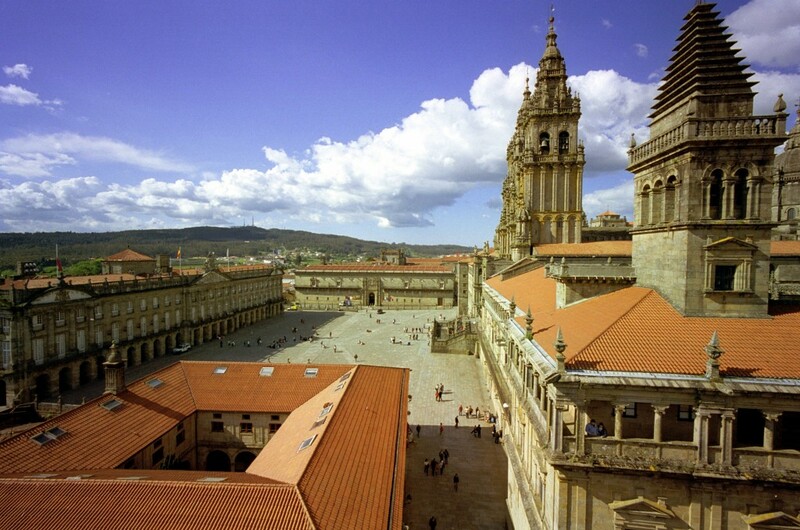 This setting is alive with cultural expressions – annual music, cinema and theatre festivals, permanent and travelling exhibitions and traditional festivals- organised by the public and private sector, led by the five-hundred-year-old University of Santiago, whose lecture rooms add 23,000 students to Compostela’s stable population of one hundred thousand residents. 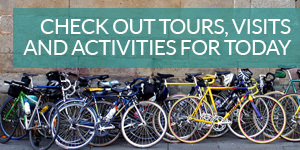 These are also joined, throughout the year, by several million visitors. Those who arrive exhausted, motivated by devotion; those who are attracted by the monumental wonders; those who come to participate in language courses or those who choose Compostela as the venue of their professional events: they all end up immersed in the permanent celebration that is the city’s life, especially during the Apostle Festival, declared of International Tourist Interest. 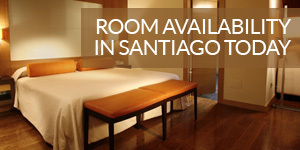 Santiago takes care of its visitors by means of a network of hotels with more than 15,000 beds –apart from 5,000 seats available in specialised infrastructures designed for meetings and congresses- and a gastronomic range capable of satisfying those with a discerning palate and all kinds of budgets. No wonder that for more than a thousand years we have been a land of universal reception, a meeting place born for the daily exercising of hospitality.